What's the connection between the dietary supplement D Ribose and Fibromyalgia is something that you will definitely want to hear more about. This sugar-like substance won't cause diabetes, but it DOES increase energy- and it increases energy where YOU need it, right in your muscles. chronic fatigue and fibromyalgia patients, but these doctors are few and far between- and you don't NEED to see a doctor to be able to use D Ribose to improve your fibromyalgia. The D Ribose and Fibromyalgia connection gets more and more interesting as you look deeper. All of us lose energy in our muscles when we exert ourselves, but Fibromyalgia patients lose energy significantly quicker- leading to significant waste product build-up in the muscles even after something as simple as climbing up stairs or carrying the groceries. Myoadenylate Deaminase Deficiency may be the KEY to the D Ribose and Fibromyalgia key. This strange sounding condition is actually "the most common muscle enzyme defect in man" occurring in 1 to 3% of the Caucasian population- and it is most likely one Fibromyalgia Cause in those who improve when they take D Ribose. and probably many other conditions of muscle pain, weakness and exercise intolerance that go undiagnosed or simply attributed to 'old age'. In most of these cases, D ribose can be an effective Fibromyalgia Supplement to significantly reduce pain and fatigue- especially when the 'synergistic' effects of these natural substances are used in combination. when these problems are contributing or are the main Fibromyalgia Cause for you- and the likelihood is EXTREMELY high that they are- this combination of Fibromyalgia Supplements could be of great benefit if you are willing to give this a trial. There is really only one study that has been done on the use of D Ribose specifically for Fibromyalgia and Chronic Fatigue Syndrome. This small study, however, showed that 66% of patients were able to reduce their pain and fatigue by nearly One-Half using 5000 mg of D Ribose taken 3 times per day. But many other studies HAVE been done on the use of D Ribose in Heart Failure that have shown excellent results as well as the safety of D Ribose taken in doses of up to 60 mg per day with very few Side Effects occurring at any dose. But the REAL results have been shown in the practical and clinical use of D Ribose and Fibromyalgia patients in the real world. While they are few and far between, their ARE doctors and cardiologists that regularly use D Ribose and report excellent results that they were unable to achieve until they began using D Ribose along with a few other effective Fibromyalgia Supplements. So, just like in the case of Carnitine for Fatigue, not everyone is going to 'respond' by improving with use of a D Ribose Supplement, but for those who DO improve, the improvements that can be experienced with D Ribose and Fibromyalgia can be dramatic. 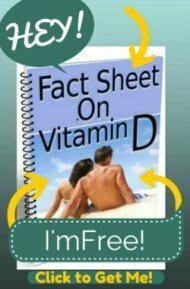 Vitamin D levels normal, how much D should I take?